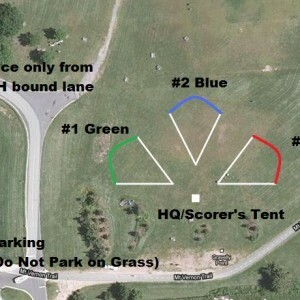 For the 2010 historic 10th Season the Potomac Wiffleball League returned to the original playing location where the league began, Gravelly Point Park. With amazing views of the national mall, a picturesque riverside environment, and directly on the approach path of planes landing and taking-off from DCA, the location will amaze players and fans alike. The metro is a 15 minute walk along the Mt. Vernon Trail from the National Airport metro stop. Limited parking is available and everyone is encouraged to car pool. 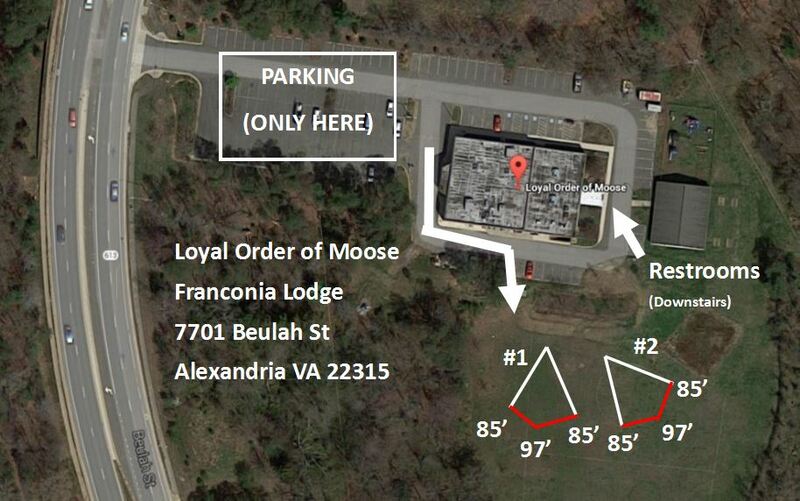 If you are coming from the south…the parking area is on the right side of the road, about a quarter mile past the end of the airport. If you are coming from the north…the best option is to turn around using the airport. Simply take the National Airport exit and follow the sign toward terminal B & C. Drive right past the terminal and follow the signs to Washington and Airport Exit. Once you get back on the parkway, you will be heading north. The parking area is about a quarter mile ahead on the right. 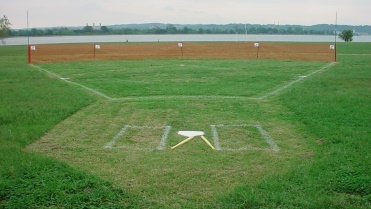 In addition to the three current fields in use there are eight additional fields that have been used for league games in the past. 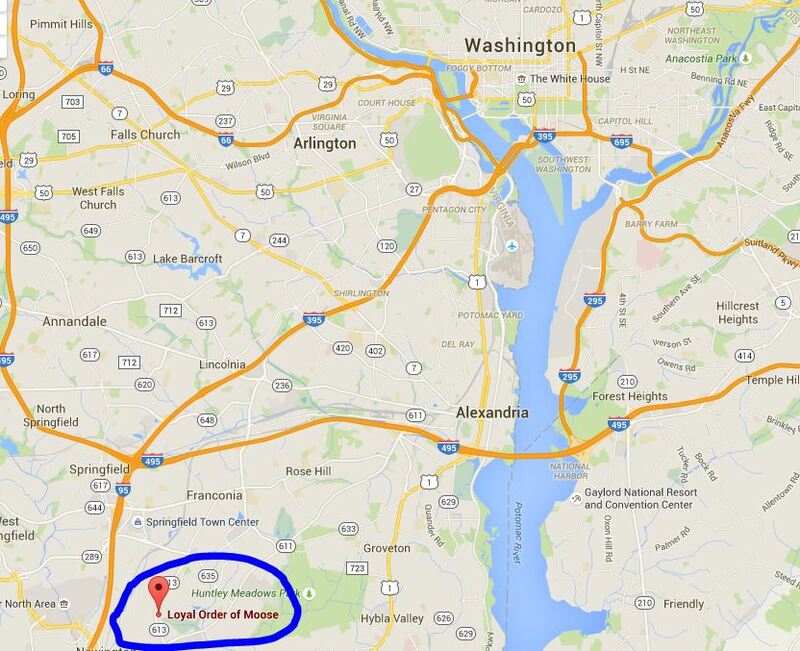 For the first five glorious seasons of the PWL, reclaimed land along the Potomac River in the flight path of arriving and departing planes from National Airport was our home. It was several seasons in before we realized (acknowledged) that we needed a permit. Once we got one, the National Park Service decided that the athletic fields at Gravelly Point were being used too much for athletic events, and decided to steal our land from us. We hate them, and we will get even…soon. 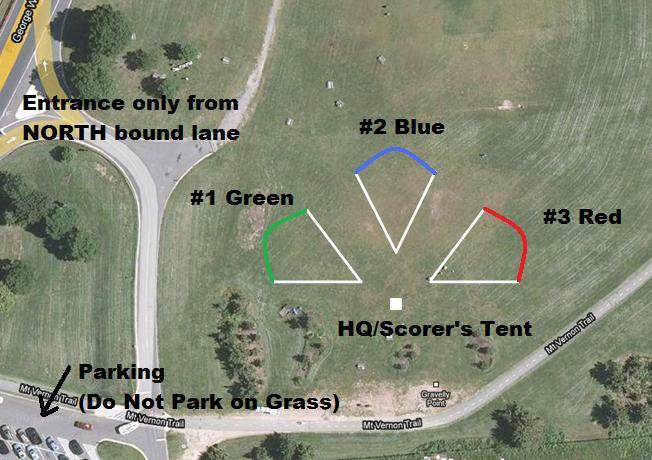 Description: Our original field and the one used exclusively for post-season games at the first round of Gravelly. Trees surrounded the dugouts and fans and players could relax in the shade and still have the best view of the playing action. Description: Designed by Deputy Commissioner Stephen Zigmund, it was a little less flat than Gravelly 1, and with it’s equal dimensions all around was a bit more of a hitters park, depending on the wind. The treeline in the outfield that almost every homer hit, and cars zipping past on the Parkway definitely provided a different experience. The NPS at one point mentioned to us they were worried the plastic balls falling into the trees were going to damage them. On a windy day, Will Rowland hit a ball that landed in the parkway. 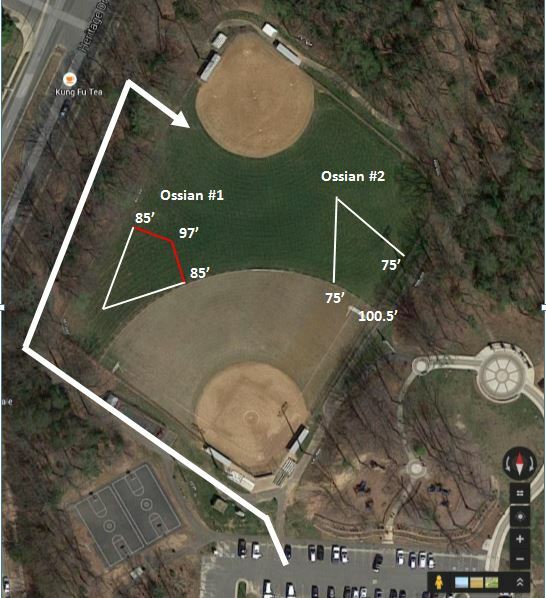 Description: The same dimensions as Gravelly 1, this field helped the right-handers with almost no room in foul territory down the left field line. In addition, a tree that slightly overhung the left field fence would give a 4-bagger to a hitter otherwise looking at an out. 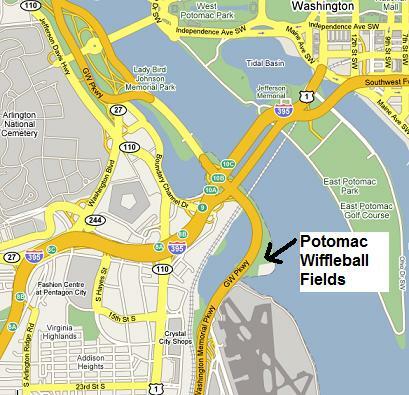 For the 2008 season, the Potomac Wiffleball League moved into a temporary facility while the DC City Council haggled over a deal to build a multi-million dollar wiffleball complex on the Anacostia Riverfront. 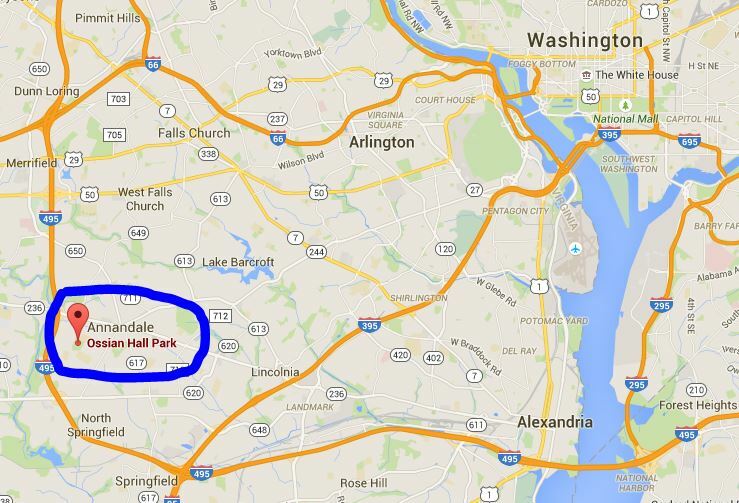 The fields were located at Ft. Reno Park, part of Rock Creek Park. 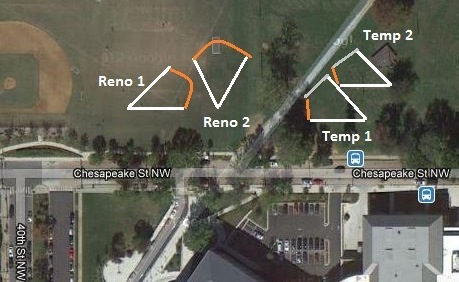 (40th St and Chesapeake St NW) Ft. Reno is the highest point in Washington, DC. For more information on Ft. Reno, check out the Wikipedia entry (the nation’s online encyclopedia of record). Our favorite entry: In addition to the concert series, Fort Reno is a haven for underage drinkers in search of a nice place to relax. Furthermore, the fenceline on the western hillside provides what is arguably one of the best places to smoke a joint in our nation’s capitol, particularly during a summer sunset. Major benefits of Ft. Reno included an accessible power supply, allowing night games for the first time, and close location to a metro stop and food options. However, a lack of foot traffic served as a downfall in recruiting guest players. While every set of fields has it’s share of unique issues, Fort Reno combined a few during the short time we were there. Games were postponed for both arsenic which was observed from outer space, as well as knee high grass. Two fields were constructed at Ft. Reno. They were used for the Spring 2008 season and through Week 4 of the Summer 2008 season. Description: Reno 1 sat close to the street in the right field outfield of the softball field. A large rock marking some kind of event sat behind home plate on a direct line through the center of the field. The Reno 2 infield sat a few feet past the home run fence and long bombs would go into play. Description: This field had an intimidating uphill slope from home to center. The batters eye also featured a fort, one of the defenses of Washington during the Civil War. 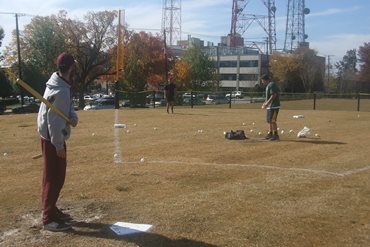 The main fields were completely destroyed so that the area could be leveled, have new grass installed, and prepared as a first class wiffleball facility. Unfortunately, this happened mid-season, and starting with Week 5 of the Summer 2008 Season, temporary fields were needed. While the main fields were under construction, it was thought a temporary solution was needed. Unfortunately, when the main fields were available, we were not able to return. The temporary field location was next to the stage used for the summer concert series, just immediately to the East of the regular field complex. 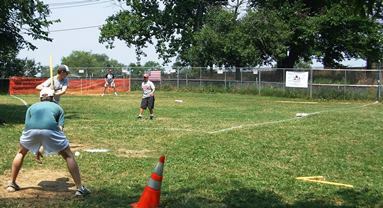 The construction fences that were built around the main fields were incorporated into our outfield fence. The temporary fields ended up being used more than the original fields. Description: Built to incorporate the existing construction fence into the outfield wall, Temp 1 was a tight fit between the fence, trees, and sinkholes at Ft. Reno. The mowers couldn’t get close enough to the fence, so without a little extra weed eating, you’d lose ground balls in the foot before the fence. A short orange fence was added to provide a proper dimension in left field. Description: Even a tighter fit than Temp 1, Temp 2 sat between a stage used for summer concerts that limited us to about five feet of foul territory on the right side, and a light pole on the left field side. The batters boxes were actually under an overhanging tree, and a lot of foul popups were ruled out of play after hitting the tree. There was a significant upward slope from home plate to the home run fence. While we never took an official measurement, the center field fence was no doubt closer to the plate than the foul poles, you could almost reach out and touch the fence from second base. The stage did make an excellent upper deck location to watch games from. The temporary field complex was destroyed (ie – the temporary construction fences were removes) following the Summer 2009 Season, but before the playoffs could be held. For the playoffs a temporary field was built on the brand new grass that has been put down on the recently improved main field area. We also took advantage of the built in foul pole. This was also the first field to use the Enduro fencing instead of the orange safety fence. Tony Ragano is still unhappy about the decision to move the fields, rather than attempt to replicate the construction fence, and believes it cost Clubber Lang the DCS. 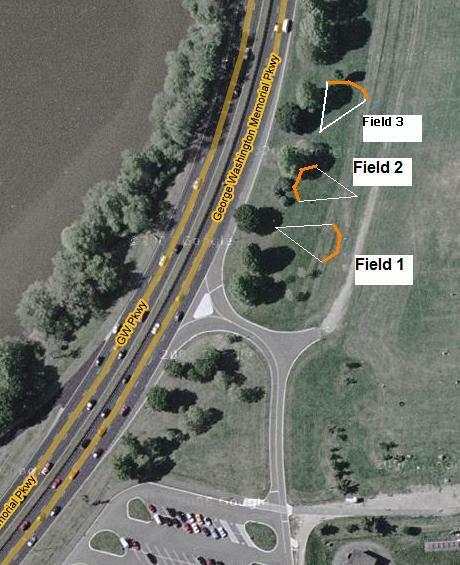 Description: With the temporary fields removed and the newly leveled and turfed playing field available for the first time in almost two years, a field for the playoff was erected back near the site of our original Fort Reno fields. Using the built-in right field foul pole from the baseball field as our left field pole, as well as a brand new Enduro fence, an upgrade from the orange construction fencing, this was by far our best manicured facility. We later found out that DC Parks and Rec weren’t supposed to install the foul poles, and the National Park Service was unhappy, but we’d been kicked out anyway.